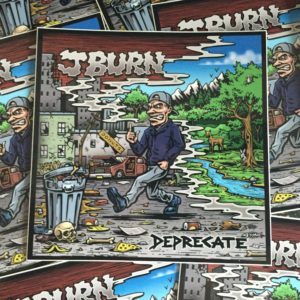 Featuring the J Burn Deprecate album are by Jimbo Phillips, on organic cotton and recycled poly rPET blend, saves at least 4 plastic bottles from ending up in a landfill. 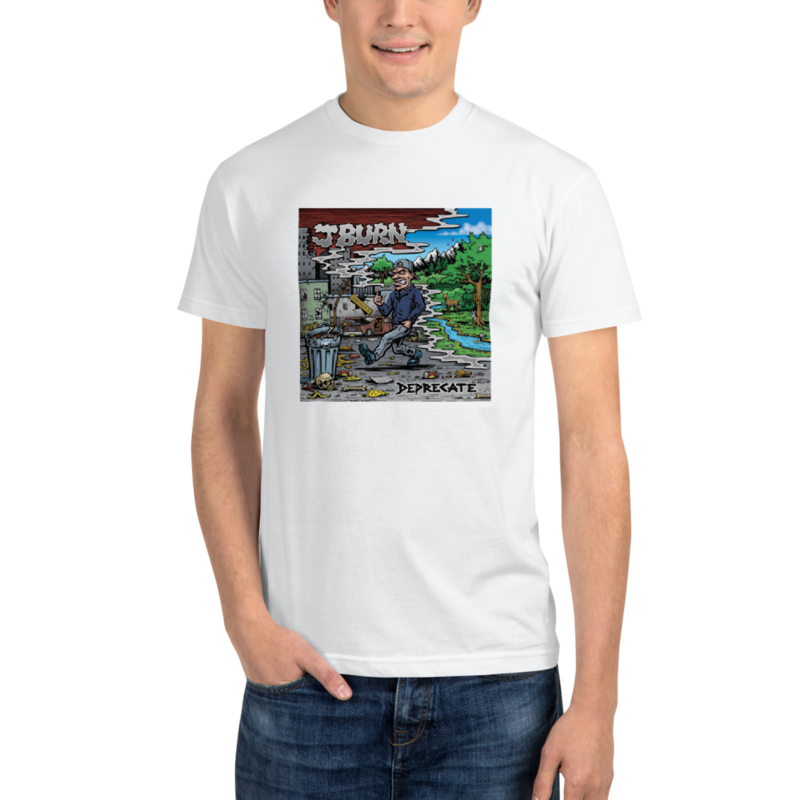 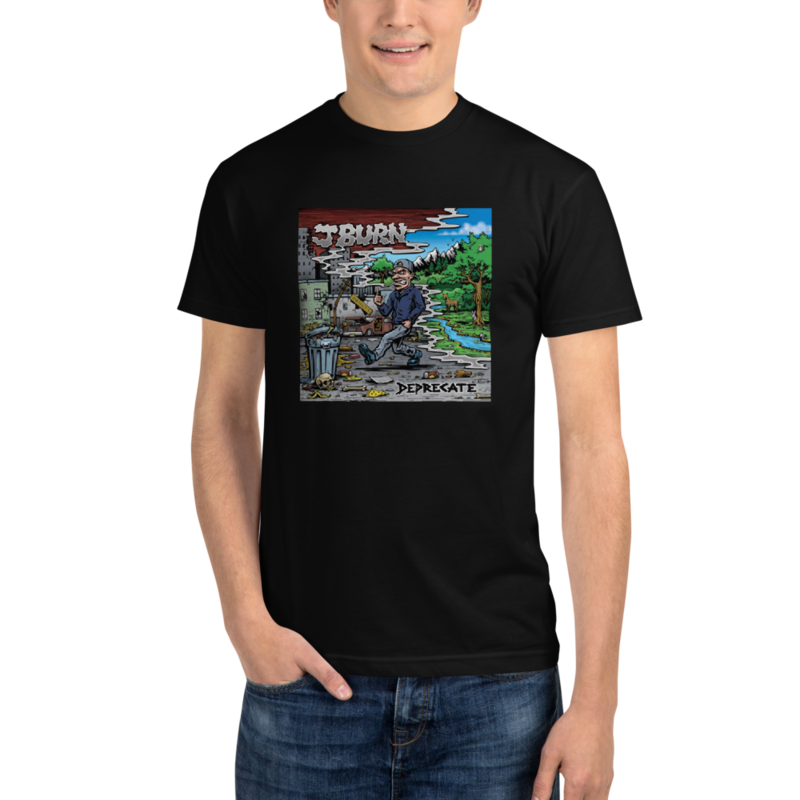 Featuring the J Burn Deprecate album are by Jimbo Phillips, it may look like any regular tee, but it’s actually far from ordinary. 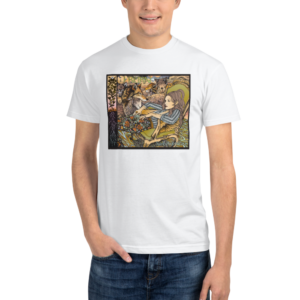 This shirt is made from organic cotton and recycled poly rPET blend that makes the fabric more durable and heavyweight. It saves at least 4 plastic bottles from ending up in a landfill, or worse. So, if you’re searching for a unique and sustainable way to express yourself, look no further than this!